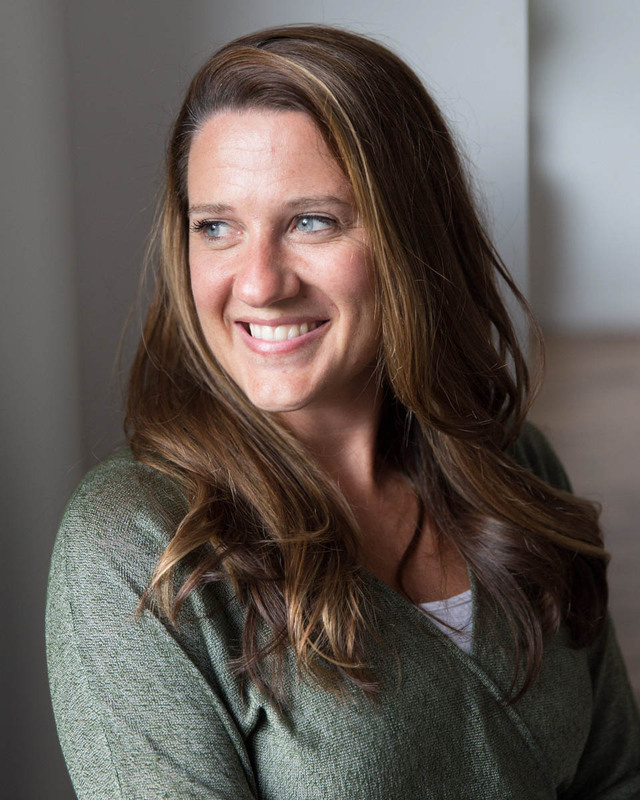 Rachael Goldberg is a psychotherapist with an interest in helping clients navigate loss, relationship issues, and personal growth. She received her degree in clinical social work from Columbia University and has completed additional training in body image, cognitive behavioral therapy, and acceptance and commitment therapy. In addition to her private practice, Rachael works at Memorial Sloan Kettering Cancer Center providing support to patients and families who are receiving palliative and end-of-life care. In college I majored in sociology and found myself drawn to classes that focused on the way narratives and experiences shape our identity. Not knowing exactly how to turn this into a career, I began applying for jobs at social service agencies. I got hired as a treatment counselor at a residential center for pregnant and parenting teenagers in state custody. Most of the clients I worked with had experienced a significant amount of trauma, but had never had a chance to talk about, let alone process, their experiences. I became passionate about creating a space where people felt seen and heard, which is what led me to go back to school for my master's in social work. Since graduating in 2013, I have worked in a variety of different settings, which has allowed me to build a warm, person-centered, and collaborative clinical practice. How does your interest in narratives contribute to your approach therapy? Personal experiences become personal stories. These stories collectively shape our sense of self, our place in the world, and our expectations for the future. They also create patterns and routines which influence our reactions and responses to life’s challenges and stressors. I work with my clients to examine their individual narrative in order to identify their strengths, goals, and which patterns are not serving them in a constructive way. We will then use this information as a foundation to create pathways for positive change. How can people use therapy to be empowered? Life isn’t always balanced, especially in a place like New York and it is completely normal to feel stuck, lost, anxious, or overwhelmed. These feelings often get intensified when facing times of transition, an unexpected loss, relationship challenges, or any other unexpected stressor. All too commonly, people believe they are struggling because there is something “wrong” with them, which just isn’t true. I hope to help my clients normalize what they are going through and reframe the way they talk about their experiences. I believe that we all possess the tools we need to get through these types of challenges, it sometimes just takes an objective perspective to be able to figure out how to access them. I strive to create an environment where clients can process their experiences, identify their strengths, and regain a sense of control. How do you go about defining goals and being results-oriented when working with clients? I understand that no two people are alike and that everyone comes to therapy for different reasons. I take the time to get to know my clients and understand what they would like to get out of therapy. I don’t believe there is such a thing as a “one-size-fits all” approach to therapy, so I utilize different techniques to match my client’s individual needs. Some people like to take a concrete approach, which might include detailed goal setting and homework assignments. Others prefer to take a less structured approach to the work and benefit from more traditional talk therapy. Sometimes people want to take a hybrid approach. What matters to me is that each client feels comfortable and that our work leaves them feeling more confident, positive, and in control. I think it is extremely important for clients to feel their therapist is a good fit for them. So, while I utilize the first session to begin getting to know a client, I also want them to use the time to get to know me. I believe that good therapy truly is a partnership, so I leave plenty of room for clients to tell me their expectations, needs, and ask any questions they might have about my practice or the therapeutic process. While I know that it takes time to create change, I hope that each of my clients leaves our first session confident that they will get what they need out of our work together.